The morning of January 20th at 3:33 am we welcomed our first Hypno-baby (second birthing time), Phineas Allen. 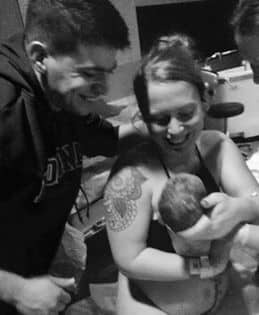 I will be the first to say I was anxious going into his birthing time because my first birth was so traumatic, but it ended up being the most amazing birth! I had been consistently having practice waves for days, but by January 19th I was having them all day long and they were getting much stronger and closer together. I reminded myself that these practice waves were getting my body ready for the real thing and to enjoy them. I had a feeling we would be going to the hospital that day. I timed my waves for most of the day and let my doula know we were getting close. By the evening around 7pm they were strong enough for me to feel comfortable starting my Birthing Day Affirmations. I laid in bed and listened until around 9 pm when I felt like they had slowed a bit so I went downstairs to wash dishes and clean up a bit. They picked back up so I listened to my tracks again and got into positions that felt best during my waves. Around 10 pm I had my husband call our midwife to see about meeting us at the hospital to be checked but she suggested waiting until waves were 5min apart, as they were still 6-7min apart. We waited another hour or so but at 12:30 I was getting shaky and just felt like I needed to get to where I was going to be during my birthing time. I was still only 6-7min apart, but I didn’t care. We packed all our bags, along with my toddler into the car to head to the hospital. Staying focused while in the car was tricky but for the most part I was able to listen to my tracks and felt in control in between waves. When we got to the hospital at 1:20 am, I was checked and asked to know where I was at. I figured I would be no more than a 4 but I was surprised to find out I was already around a 6-7! After some checking on little man, they allowed me to get into the tub. The hot water felt AMAZING! My husband got in with me and I leaned into him while my doula squeezed my lower back during waves. During this entire time I listened to my Easy First Stage track and loved the reminder to Open and breathe into my Peace cue. Saying these over and over during my waves helped me get through until my next check. I felt a little pushy, but thought I couldn’t be anywhere near ready to push since my waves were still manageable. 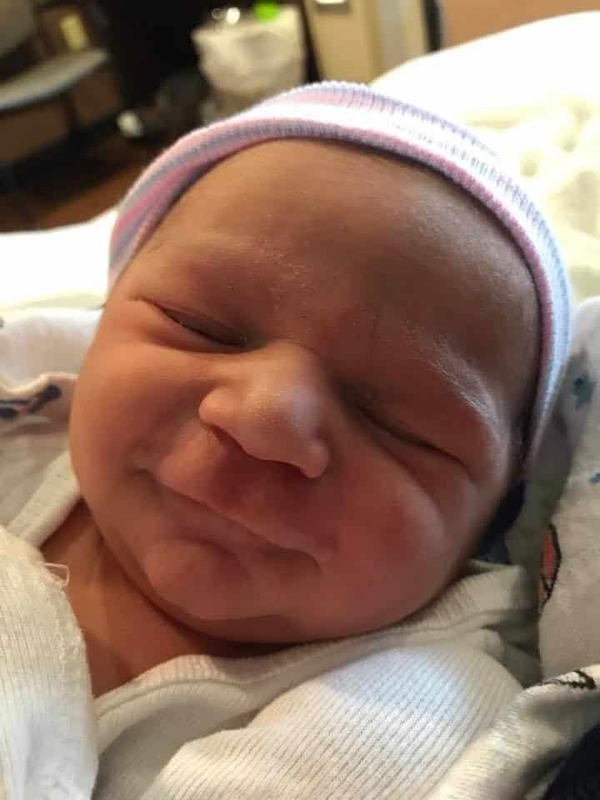 My midwife checked me at a 9 and it was so encouraging! At this point I felt so excited and energized that I was actually doing it! Just a little while longer in the tub and I was ready to get out and start pushing. My bag of waters was still intact and with my first pushing wave it burst on its own which was a really nice relief. My doula put my Pushing Baby Out track on and loud and I went to work. I don’t really remember anything the track was saying because my pushing waves were so much more intense, but after a short 10 minutes of pushing we had our baby boy at 3:33 am! Just a little over 2 hours after we got to the hospital. I pushed him out exactly how I visualized/practiced (on my knees) and I was in shock when he came out in a few pushes. I pushed for 3 hours with my first daughter, so I was not expecting to have such a short pushing timeline. I can’t even explain how much I needed this to make up for my daughters traumatic birthing time. I was never skeptical that Hypnobabies works, but I was always worried it wouldn’t work for me. 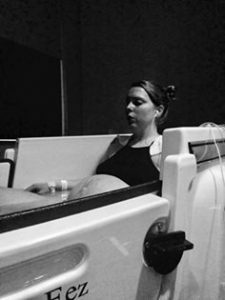 I can honestly say that it worked perfectly for me and although I wouldn’t say the whole process was discomfort free, it was definitely much easier than my first birth. So thankful I was able to use this program and have such amazing support in this group along the way!